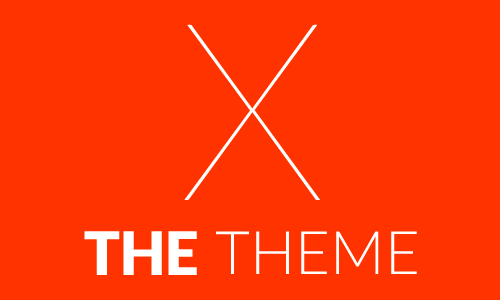 ElegantThemes’ goal with TheProfessional theme was to create a sleek and simple design without all of the extra features on the homepage that some people have no need for. 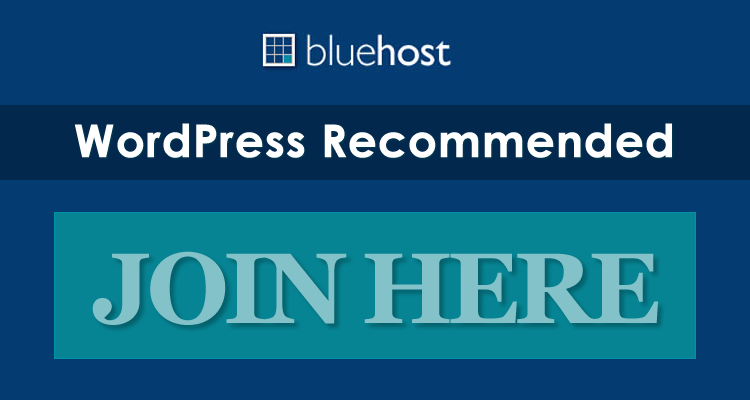 This premium theme’s layout will be very easy for your visitors to understand and navigate. The three short blurbs on the homepage are easy to take in and the prominent slider provides a clear call to action. If you want simplicity without sacrificing style, TheProfessional delivers everytime! 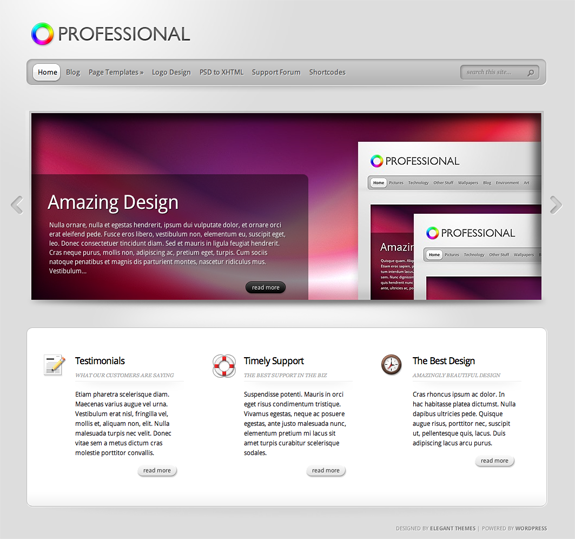 TheProfessional theme has been localized for easy translation. 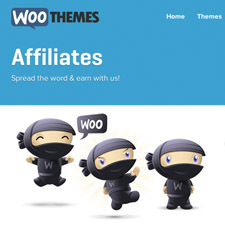 Using the theme’s MO and PO files, you can quickly translate the design without having to hunt through the theme’s PHP files to change each word, (if you’ve spent any time doing this with your own WordPress themes already, you will realize how invaluable this feature really is). TheProfessional utilizes timthumb to automatically resize your thumbnail images. Because of this, only one thumbnail image is required per post despite the various thumbnail sizes used in the theme. With TheProfessional, you can place 125×125 banner images in your sidebar and 468×60 ads to your post pages with ease. Advertisements are handled from within wp-admin and can be turned on and off at any time.